Most of my favorite dishes this year were actually dinners — rather than sweets and treats!! 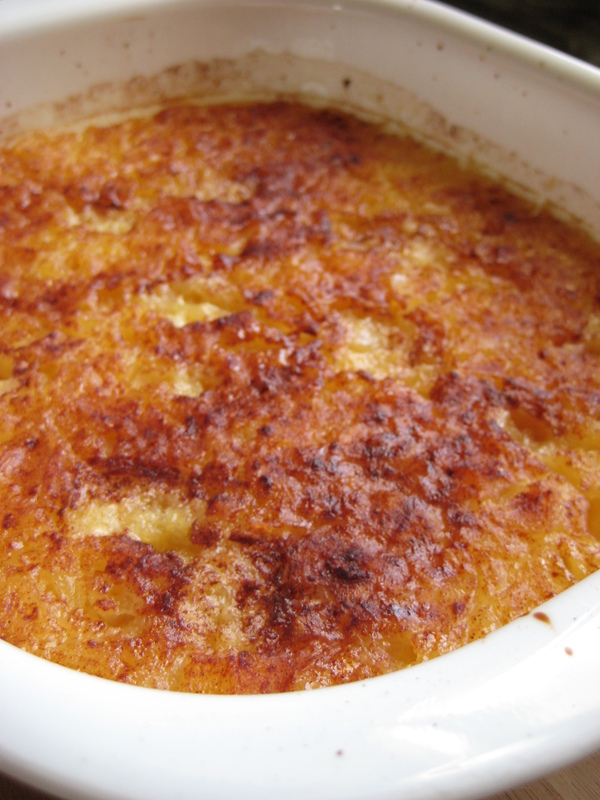 Baked Pineapple – This side dish really made a show this year. I served it with kahlua pork, as well as our Christmas ham, and got rave reviews.It’s sweet, but pairs perfectly with pork dishes! 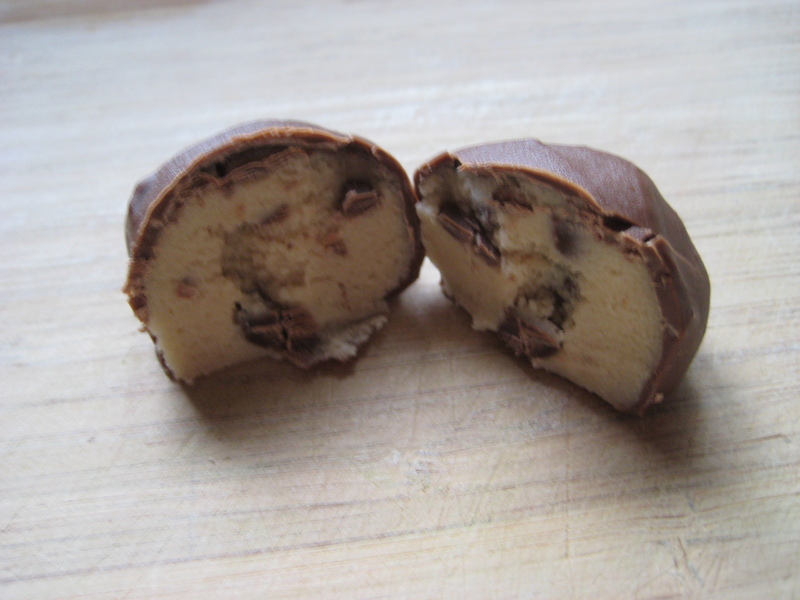 Cookie Dough Truffles – These little morsels are single-handedly responsible for every extra pound I put on during the holidays. LOL They’re delicious, and the cookie dough is safe to eat raw. It doesn’t get much more awesome than that! 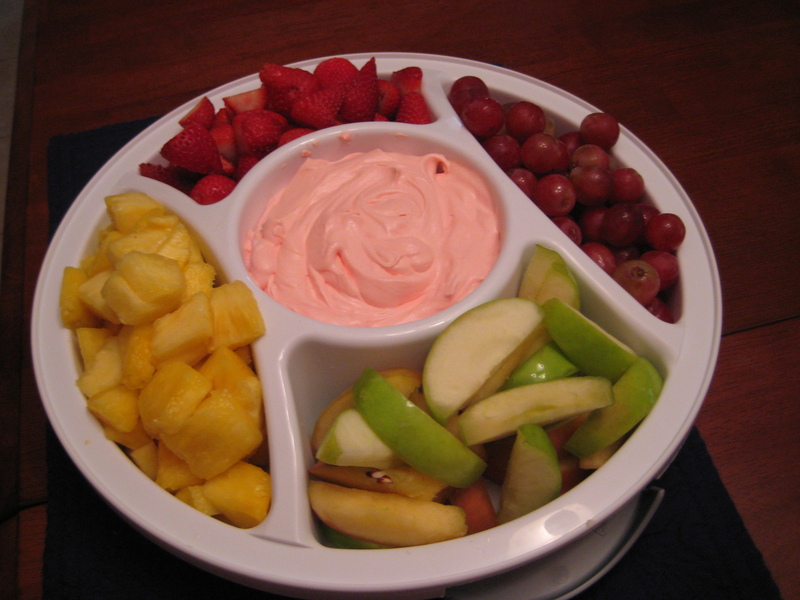 Best Fruit Dip Ever – My family’s been making this delicious fruit dip for years…I just kept forgetting to blog it! Great way to get kids and husband who don’t normally like fruit to eat it. Delish! 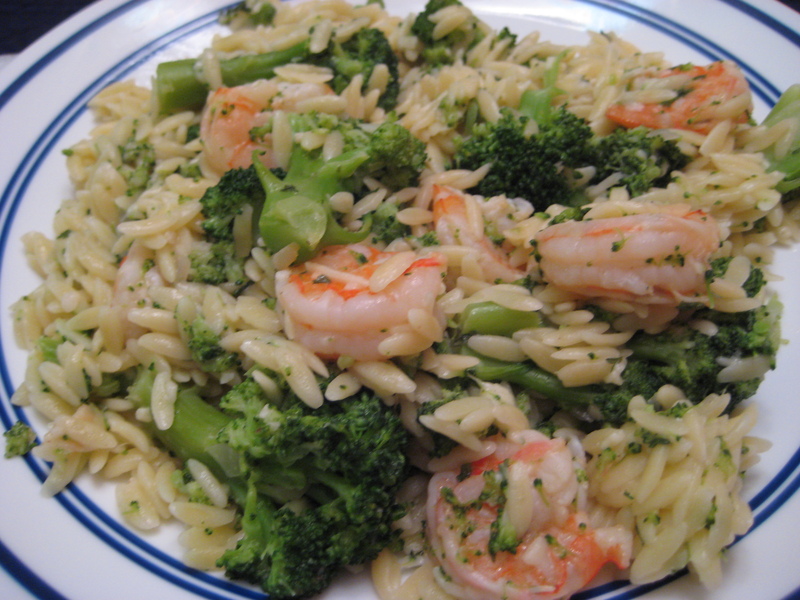 Garlic Lemon Shrimp with Orzo and Broccoli – This dish was wonderful, AND it’s quick. And nearly-one-pot (I use a separate pot to cook the orzo, otherwise it’s one dish!!). LOVE IT. Spicy Honey Chicken – we adore this dish as well, and have served it to company several times. The spiciness of the rub and the sweetness of the honey pair perfectly with that grilled, smokey flavor. 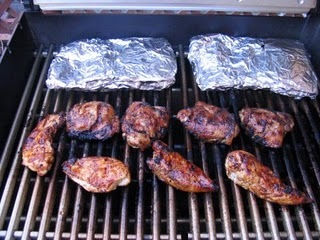 We also learned that sometimes, its imperative to use chicken thighs. This meal is a thousand times better with thighs vs. breasts. 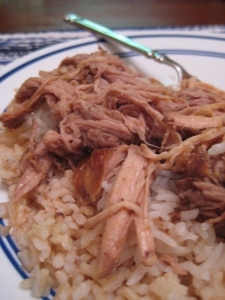 Crockpot Kahlua Pork – always in search of new crockpot recipes, this one was a winner instantly. We love to serve it over rice with a side of baked pineapple, but it’s also good as sandwiches, with bbq sauce, etc. 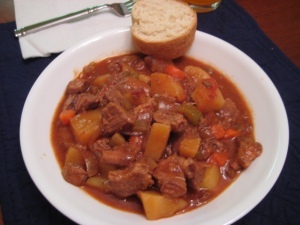 Best Beef Stew – EVER – I don’t much care if you turn your nose up at it because it contains canned soup. It is still — hands down — the best darn beef stew I’ve ever tasted! I’m actually considering making my own canned soup substitutions and see if it still tastes as delicious. 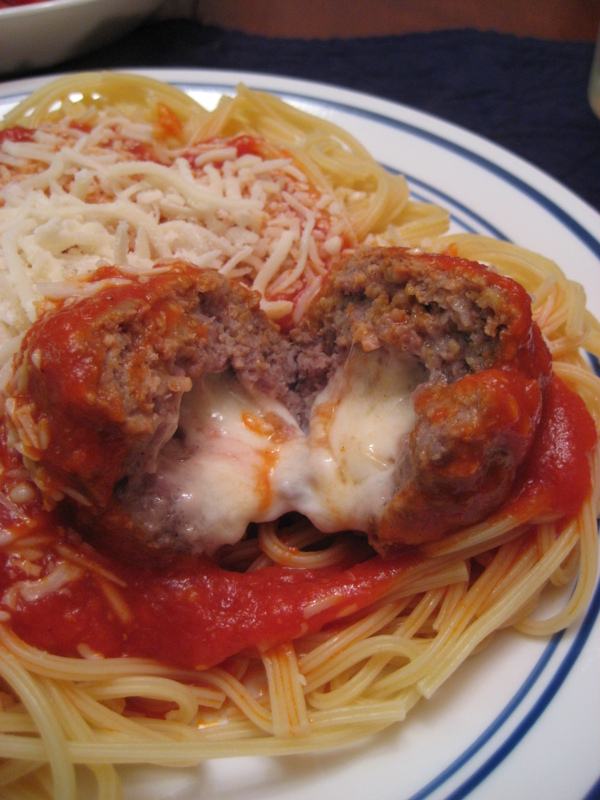 Roasted Garlic and Mozzarella Meatballs – I am still in my quest for the perfect spaghetti SAUCE — but I’ve discovered the perfect meatball. 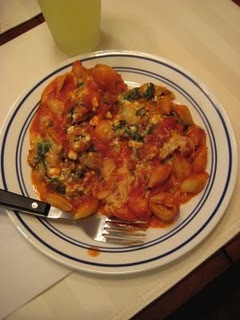 DH says these taste like they came from an authentic mom-and-pop italian restaurant, and I’d have to agree! 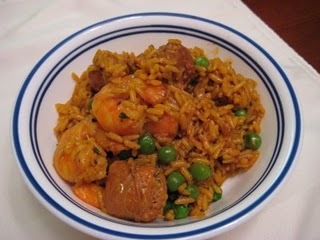 Weeknight Paella – a quick, easy, one-pot stovetop version of delicious paella. It’s not authentic, but I love it too much to care. 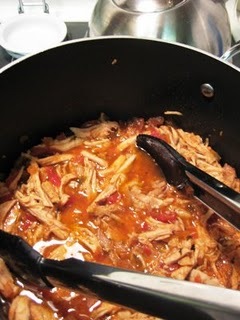 Cafe Rio Pork – this is probably the number one best recipe I discovered this year…maybe behind the beef stew. But still. Apparently, there’s a restaurant in Utah that serves this amazing deliciousness. But since I live in PA, I just make it at home. It’s the most versatile mexican meat I’ve ever used in my home — tacos, burritos, enchiladas, salads, nachos…whatever you want! Skillet Noodle Lasagna – another quick, weeknight dinner winner. Tastes like lasagna, but gets your family to eat spinach, and is ready in about 30 minutes. Perfect! 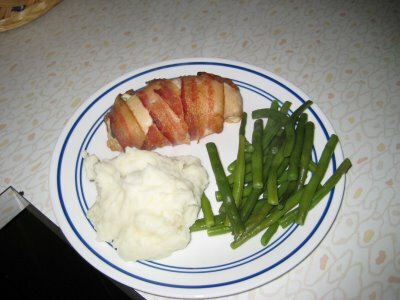 Bacon Wrapped Stuffed Chicken Breasts – this recipe is still our “company is coming, make something that looks fancy” go-to recipe. We adore it and have passed it onto several others!